The 12 Piece Skull Shot Glass Set will be the afterlife of the party at your next event or gathering of friends. 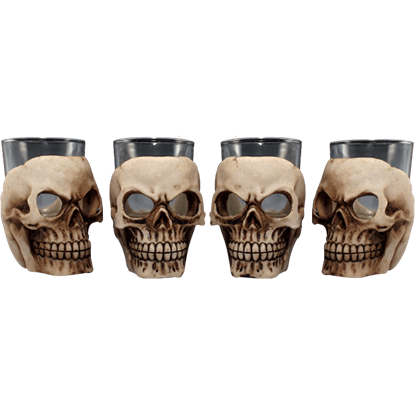 Each shot glass in this dozen has an identical human skull base, hand painted like ancient bone, surrounding the cup. Your grinning companion holds a white rose between his teeth. This might be considered romantic, if he were still among the living. This Alchemist Engraved Ceramic Mug displays a stark design of a skull with a fresh blossoming rose. After the Titans lost the Titanomachy, Zeus condemned Atlas to stand at the edge of the world and hold the sky upon his shoulders. 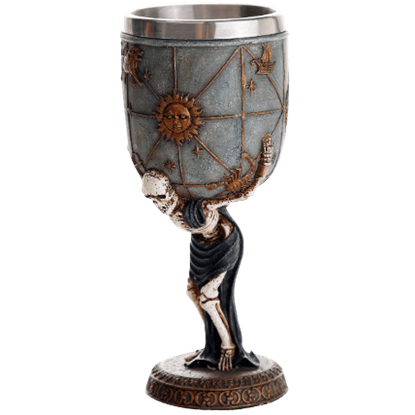 With the Atlas Skeleton Goblet, you can add the weight of your favorite beverage to this burden! 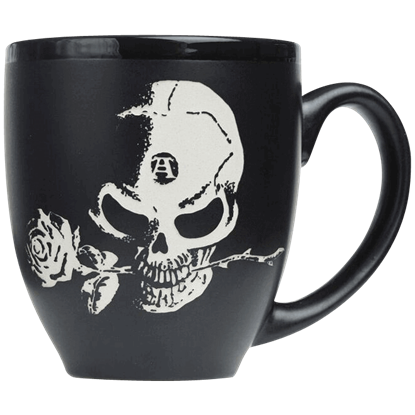 Add dark decadence to your morning coffee or hot chocolate when you sip from the Blood Rose Ceramic Mug. This gothic coffee cup features a highly detailed wraparound graphic where a multitude of blooming red roses drips with blood. 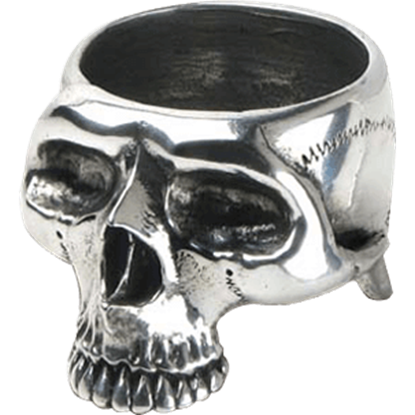 The Bone Finger Ceramic Mug Set adds a bit of fun to traditional gothic imagery. 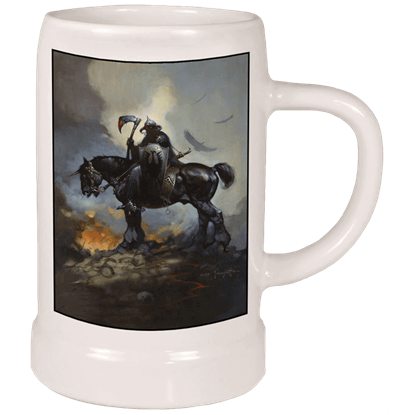 Each black ceramic mug in this set of two features large, detailed graphics showing different moods of a skeletal grim reaper, playful or defiant. Crack open a skull for breakfast every morning! 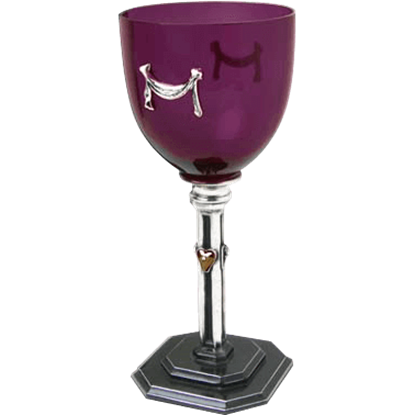 This Caput Ovum Egg Cup is a grim table companion that allows you to start your day in a gothic way, by allowing you to enjoy a tasty egg breakfast from pewter mortal remains.  Enjoy a gothic take on catkind when you add the Cats Tears Ceramic Mug Set to your drinkware collection. Each has highly detailed graphics, one showing a cute vampire kitten, the other a grey tabby weeping tears of the darkest black. There is something about the Chrysler Bat Shot Glass that just evokes thoughts of New York, circa the 1930s. 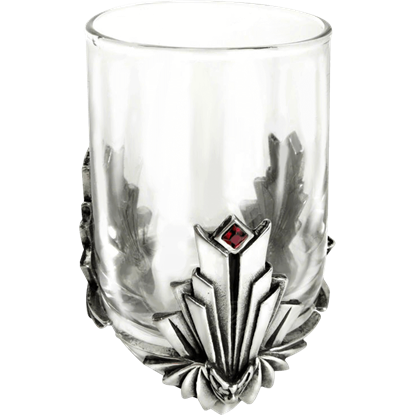 This shot glass features creative Art-deco decorations combined with nocturnal nuances that fit the metropolis all too well. 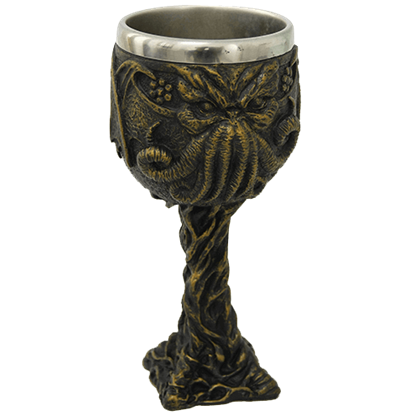 Dine in the style of the Great Old Ones with the Cthulhu Wine Goblet. This cold cast resin cup features finely crafted and hand-painted imagery of the cosmic monster itself, showcasing its octopus head, tentacles, and bat-like wings. Dia de los Muertos is a Mexican celebration surrounding souls that have long since departed and those they have left behind. 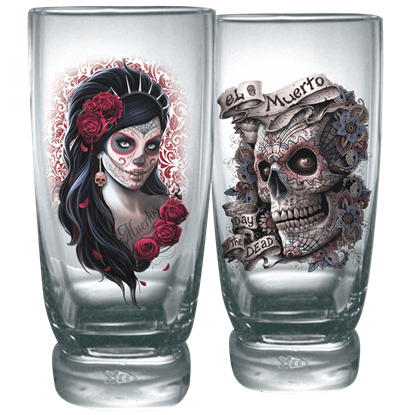 The Day of the Dead Water Glass Set includes two cups displaying striking graphics along their sides.